After working with an advisor to successfully transition their automotive dealership to their children, Gary and Jennifer Toth are able to enjoy the slower pace of life at Green Lake. About nine months ago, Gary and Jennifer Toth sold their house, moved into a downtown condominium and purchased a cottage on Green Lake. Now they split their time between the condo, their winter home in Sarasota, and Green Lake. For years, Gary had worried about being bored when he retired. But he was surprised at how much he enjoyed the slower tempo of cottage life and being disconnected from the world. The new lifestyle was possible because Gary had recently, after a long transition, handed off his automotive dealership to two of his four children, Carter and Melissa. After working in the family business for a few years, they had been pushing Gary to give them more responsibility and control. He finally relented a few years ago and put them in charge of day-to-day operations. And then, more recently, the family completed a transition plan with Jason, their MNP advisor, that allowed the kids to take an ownership stake in the company. Creating a smooth transition took more time than Gary had anticipated. "It just took a lot of discussions," Gary said to his friend Derek, who also lived by Green Lake. "More than I ever thought would be necessary. Oh, and I now have shareholders' agreements with my kids. When I went into business 30 years ago, I never expected that would happen." One of the intricacies of the transition was that the two other siblings were involved in other careers and not working in the car dealership. But Jennifer had insisted all four children be treated equally and fairly. Working with Jason at MNP, Gary and Jennifer went through a series of steps to create a solution. The first was to have the value of the business assessed through an independent valuation. That set the price for Carter and Melissa to buy the business from their parents, and it ensured their siblings knew they weren't getting a special deal. Gary didn't think Carter and Melissa were ready to take over the business, but over time they proved him wrong. "I never thought I'd say this, but I actually trust them," Gary confessed to Jennifer. Gary's confidence in his children's abilities was crucial to the transition process because Carter and Melissa would be acquiring shares from their parents over several years. 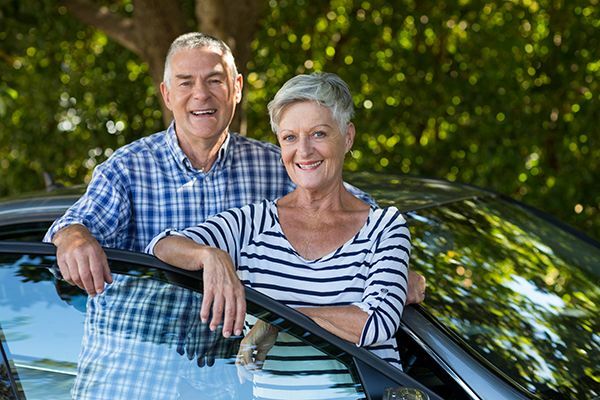 Rather than divest themselves completely of the dealership in return for an immediate payout, Gary and Jennifer would continue to own shares in the business. That meant poor management of the dealership would affect Gary and Jennifer's finances. If the business failed, payments to the parents would stop and Gary would wish he had sold to someone outside the family who would have paid him up front. Once the business plan was sorted out, there was still the land to consider. Gary and Jennifer decided the best thing for the family was to split it evenly between their four children. Carter and Melissa's dealership would pay rent to a corporation owned by the four siblings. That way, if Carter and Melissa sold the business one day, the family would still make money off the land. With help from Jason, Gary created two detailed shareholders' agreements: one for the operating company that would now be owned by Carter, Melissa and their parents, and a second for the corporation that owned the land, in which the four children owned an equal number of shares. The family also agreed to regular monthly and yearly reporting and meeting schedules. "Once in a while, they come up to the cottage to ask me for advice," said Gary. "But I think they already know what they're going to do. They just want an excuse to visit Green Lake and consult their old man to make him feel good. And you know what, it's actually working." In family successions, it’s crucial to carefully manage the dynamics around children who are in the business and those who are not. Open communication is critical. Engage all family members in the process and learn what their goals are. When shares are being acquired over time, the selling party has to have confidence that the business will continue to be successful. It’s important to have separate processes and discussions themed around family, management and ownership. In addition to negotiating appropriate terms of sale, it’s important to be fair around the division of assets in the parents’ estate. A shareholders’ agreement can be an essential part of establishing clarity for everyone involved. Will your business survive the next generation?